Easy to Make Doctor’s Kit Play for Kids! My twins have been engaging in lots of hospital play lately, inspired by the Doc McStuffins TV series they love to watch at the moment. 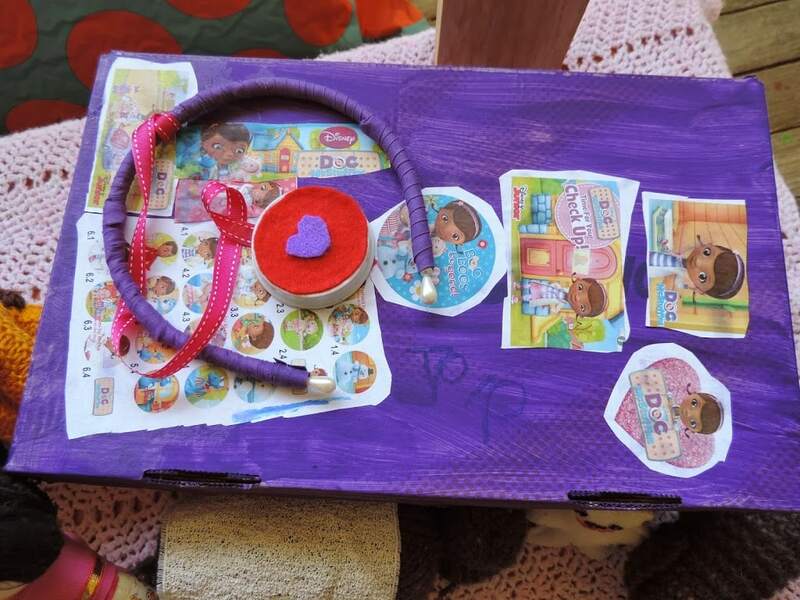 They have been having lots of fun with the felt bandages, stethoscopes and bandaids we made the other day but there have been a few fights over whose ‘Doctor tools’ are whose (as always seems to happen eventually with twins!). 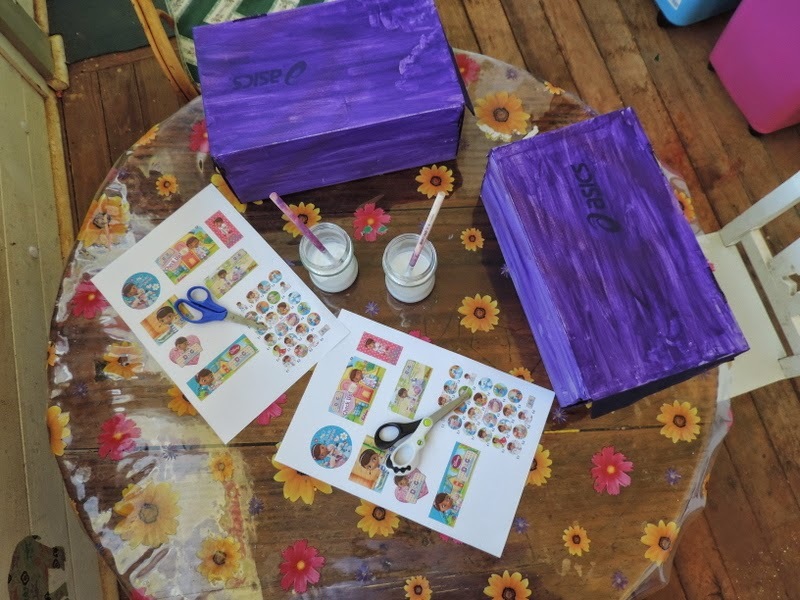 So we decided to make some personalised Doctor kits to keep their special pieces in …they both engage in dramatic play in very different ways so I like to encourage and support their individuality as often as I can. They were so easy to make but have already provided hours of fun, I do love when the simplest of activities keep children busy because they are allowed the opportunity and scope to use their imagination and self expression to create. 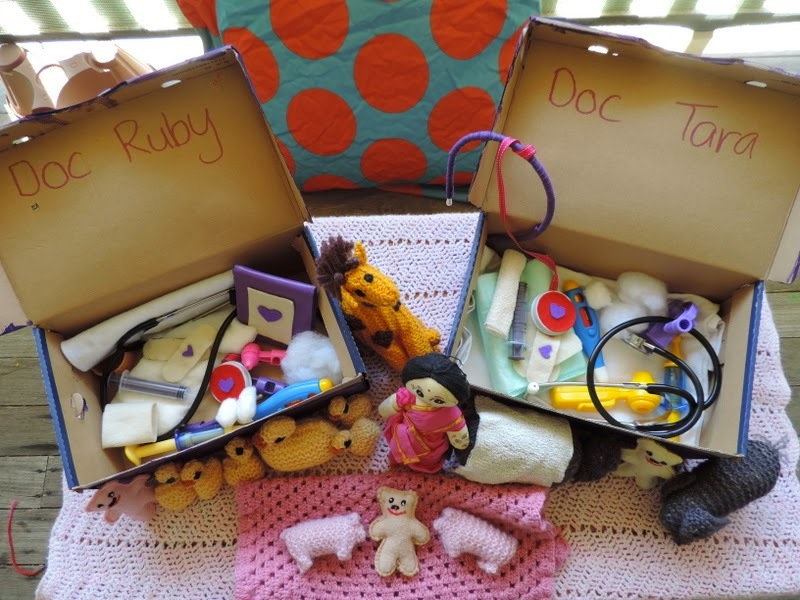 Our Doctor’s Kits are a great way to introduce some recycling into play too – I don’t know about you but I never throw out shoeboxes, they hold so many possibilities! 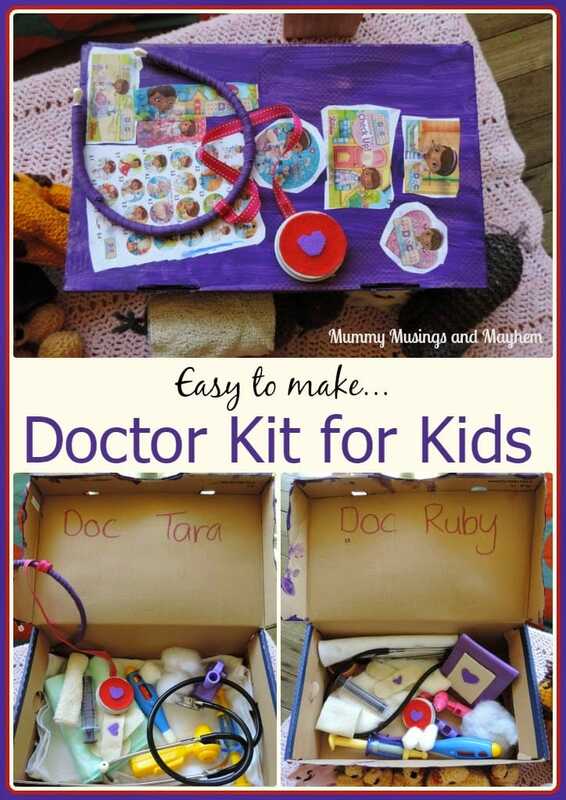 Want to make your own special Doctor’s kit? 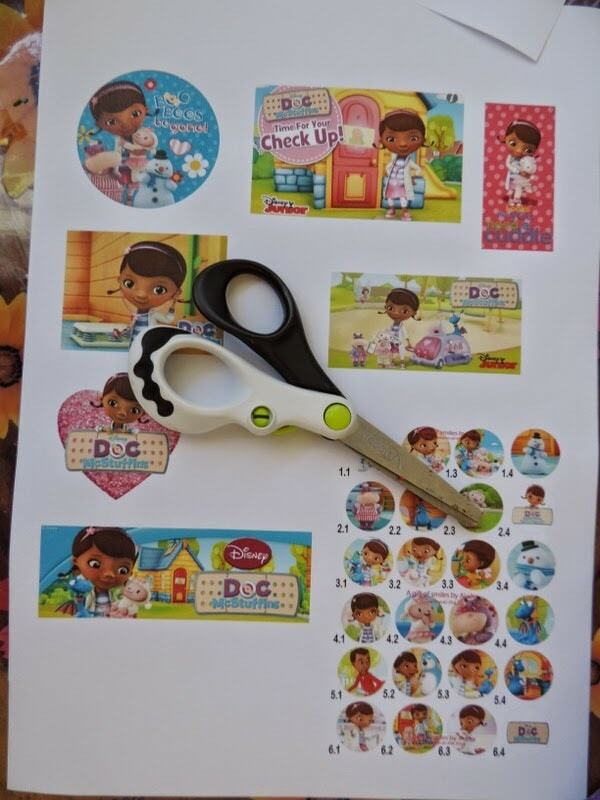 stickers or Clip art collection of your child’s favourite Doctor, my girls love Doc McStuffins as you can see! 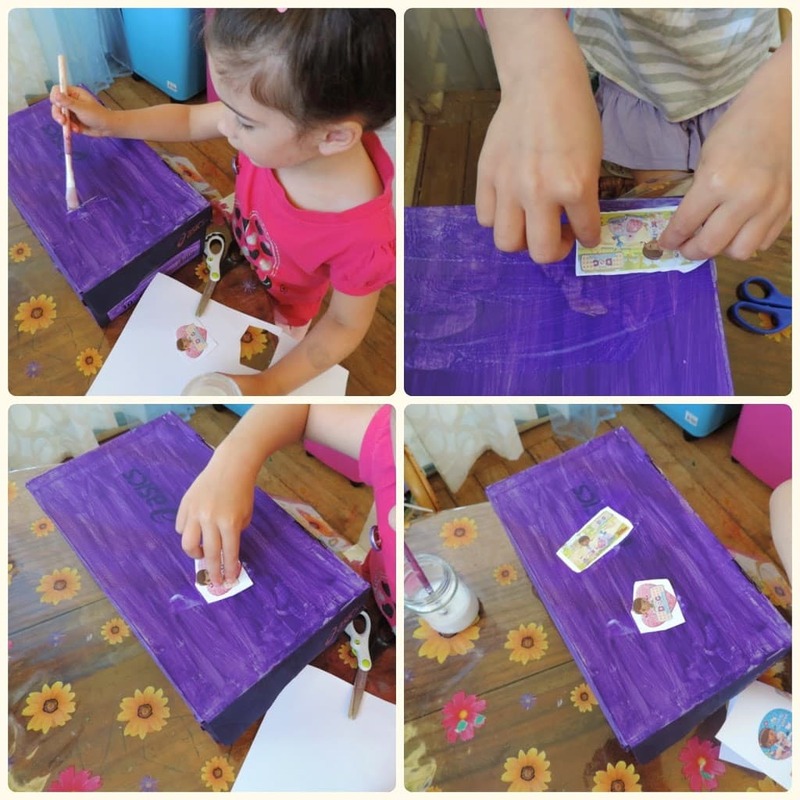 It really is a quick and easy project that children of all ages will enjoy being a part of from start to finish! 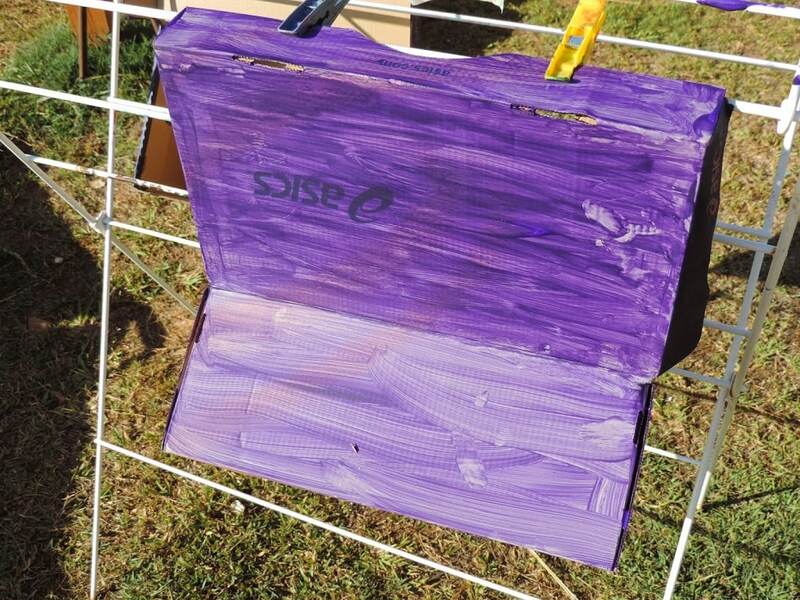 Let each child choose their box and paint colour, my girls chose their favourite purple, darker colours are preferable as they give a better coverage but no need to worry about that to much as they will be putting pictures all over the box anyway. When they finished and were happy with their efforts we hung them out to dry in the sun. We decided not to paint the inside but you could of course or even add some material as a lining! 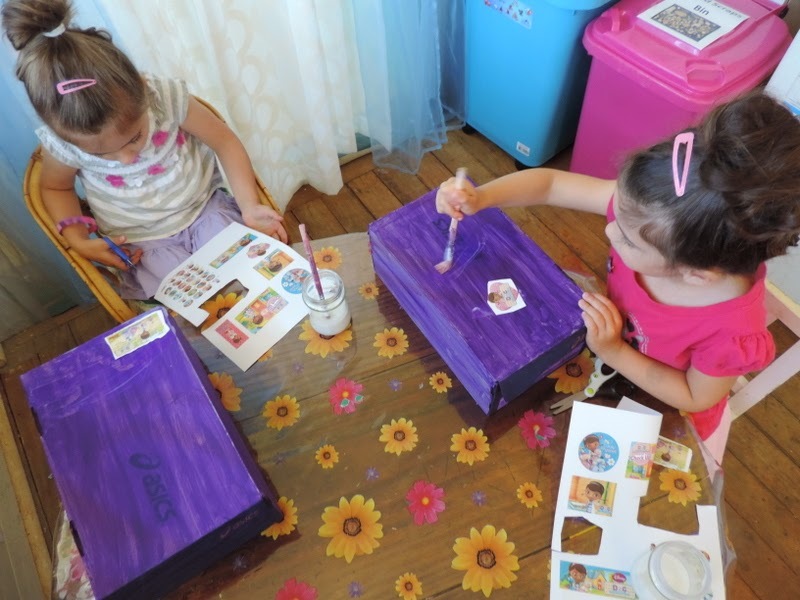 That afternoon I set up a table for the girls to get busy with their boxes. 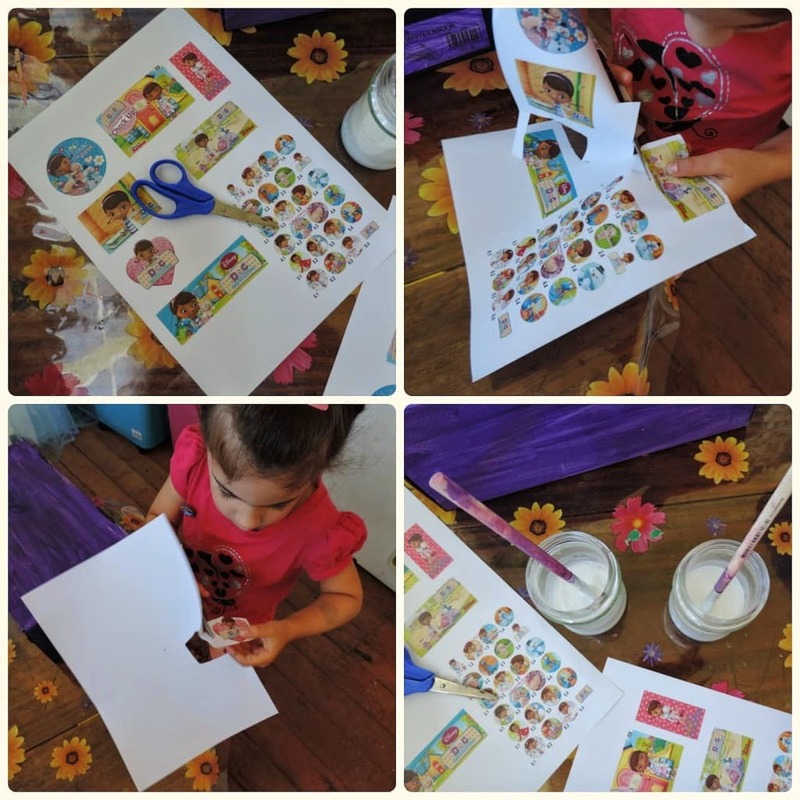 I printed off some Doc McStuffins pictures and gave them a sheet each to practice their cutting skills. Ruby is currently learning to use her ‘helper hand’ more effectively when cutting with scissors and turning the paper to help her to cut. Coordinating her fine motor skills can be a bit challenging for Ruby so I try to include activities using these skills at least once a day to support her learning journey. Tara absolutely loves working with scissors and is always very precise, I love watching the different ways children work, each way is unique and just as important. 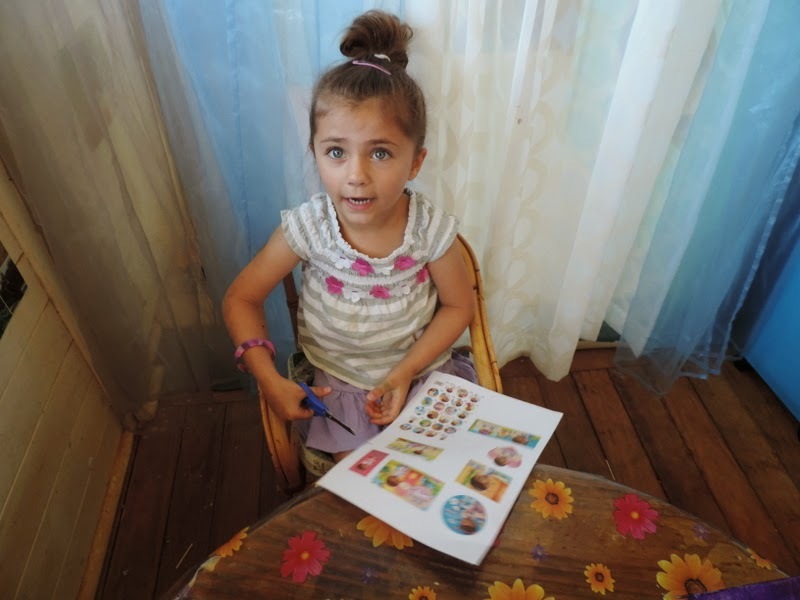 When supporting children to work with scissors it is important to..
Have sharp kid friendly scissors but not blunt ones – they will do more damage. Guide them to turn the paper or picture they are cutting with their ‘helper hand’. Keep your expectations age appropriate – first let them learn to snip and cut along lines before expecting them to cut out a picture. 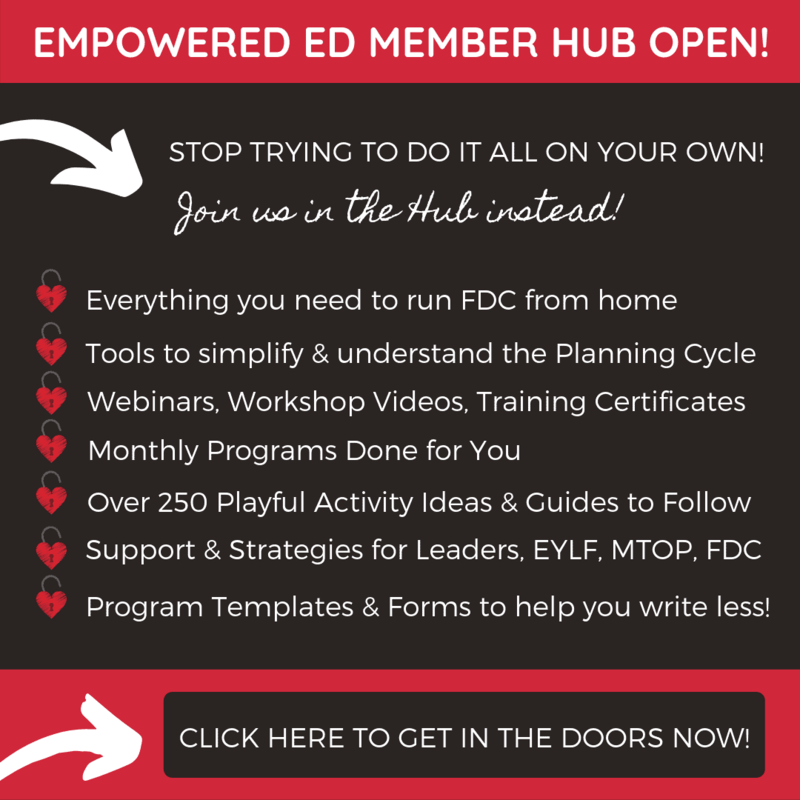 Use cutting activities as conversation prompts and reflective listening activities. Ask what they are cutting, why, is it big or small, give them some easy directions to listen and follow. Tara could talk underwater I am certain of it….she spent 10 minutes here telling me what she was cutting and why she was doing it! She is the typical 4 year old chatterbox full of questions about how and why things work which can be exhausting (as parents of 3 and 4 year olds will know!) but I also know every time I answer her or help her to find the answers she is learning something new and storing that information for later. 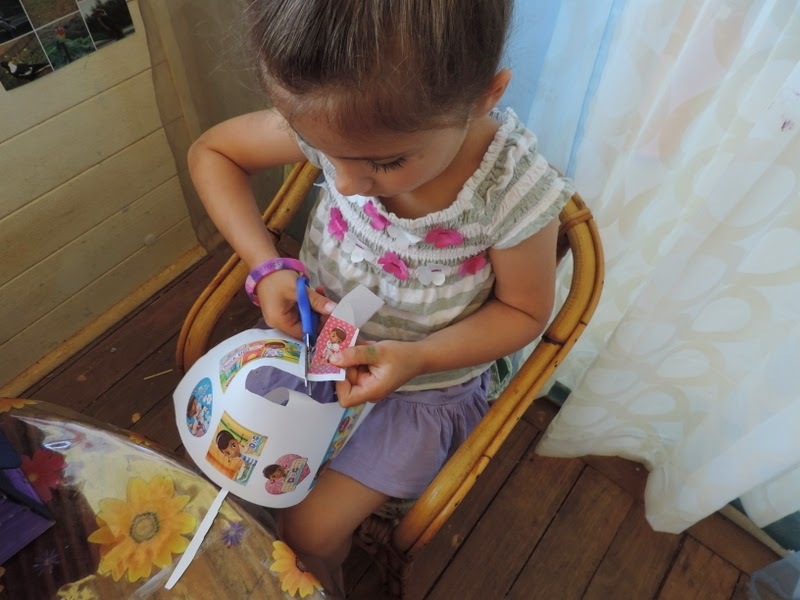 As they cut out their pictures the girls glued them onto their boxes, each with their own sense of style and individuality. I just used some of my cornflour paste/paint which is so easy to mix up and does the pasting job well! If you would like to give it a try yourself you can find the recipe here. When the designing was done we left them to dry and then got down to the fun part of stocking their Doctor’s kit. 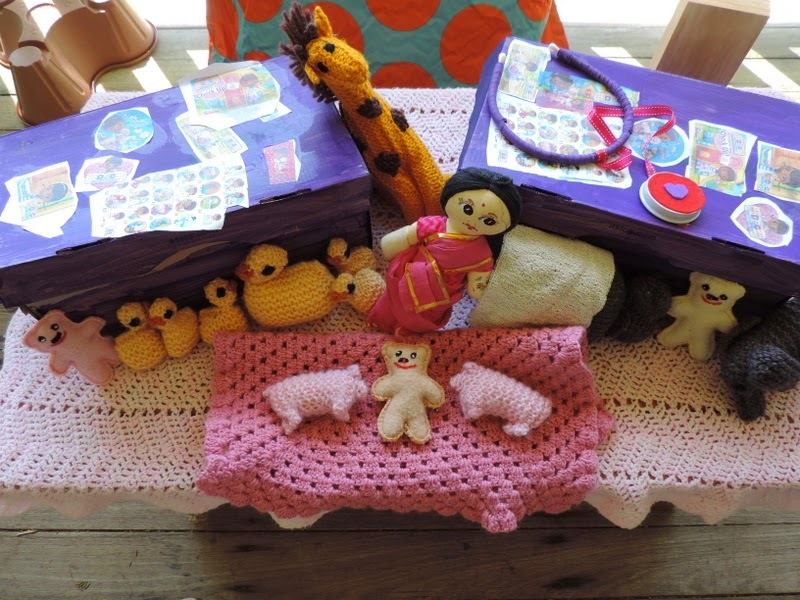 We also collected some little soft friends and made a hospital table with the help of a few blankets. 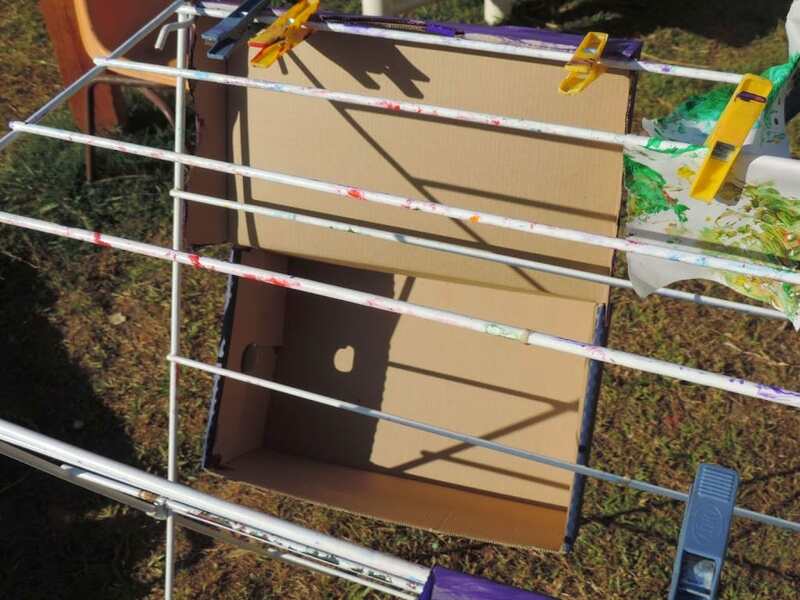 We have lots of hospital props due to my Family Day Care Service but you really don’t need to go out and buy special equipment, the idea of this activity is to use what you have and turn it into something fun! As well as the toy props I used some craft wadding and cotton balls, old medicine syringes, cut up pieces of old bandage to make smaller bandages and some homemade bandaids and plaster casts made from felt scraps which I showed you how to do in this post. We also made some easy DIY stethoscopes with old headbands, some ribbon scraps and baby jar lids! 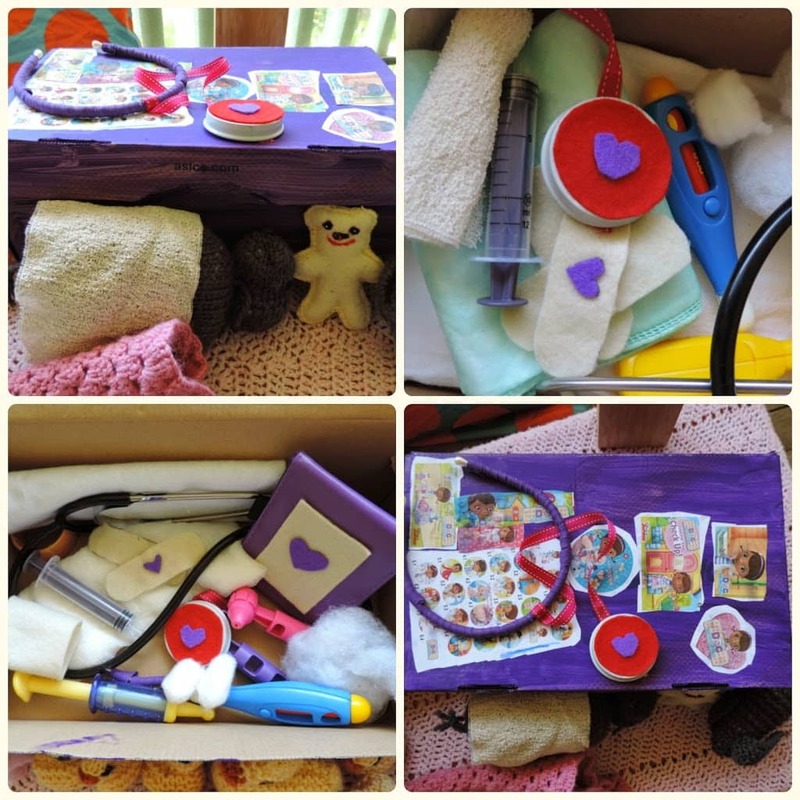 You would be surprised at what children will want to include in their Doc boxes and what they will use everyday items for in their dramatic role play games. Just add a few basics and let them take it from there! I must say having their own boxes has kept them very busy and no longer arguing about who is using what and who had it first! And when they want to move around they just throw everything back in and close the lid. They are light enough to cart around easily for small hands. Their list of patients kept growing and they continued to play side by side but in very different ways and that’s just what I was hoping for when I set out to make these Doc Kits with each of the girls. I also liked that they had been involved from start to finish with the process and were very proud of their efforts. You know what I always say….simple is usually best when it comes to fun! 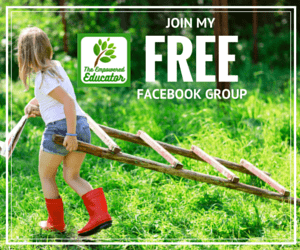 If this is your first visit to Mummy Musings and Mayhem and you like what you see you can follow me on Facebook, Bloglovin and Pinterest for more inspiration, frugal fun, recipes and mayhem! 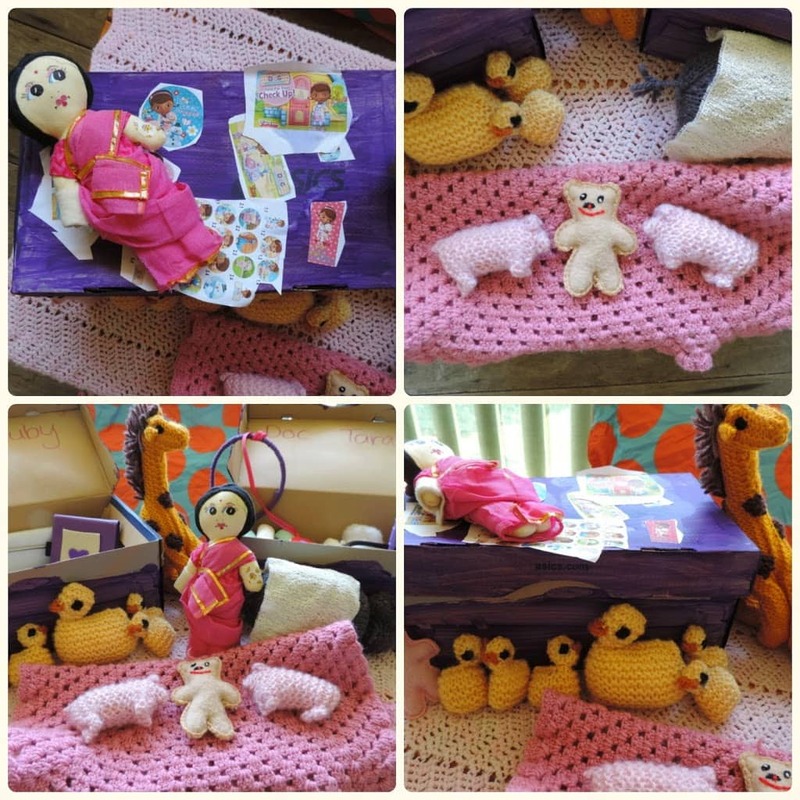 « Easy Felt Hospital Fun…and a Disney Doc McStuffins Giveaway! Oh that is so adorable. My niece loves Doc Mc Stuffins.